Petal Beach Floral Studio is more than a local Newark florist; this is a design company that will take your wedding flowers and décor to the next level. You will be able to work with the designers to customize every aspect of the arrangements. 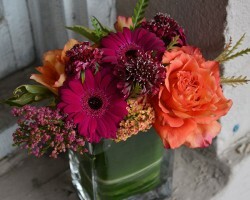 They can include specific color combinations, your favorite flowers or even outside materials. The accents from this company will help to create a more romantic and beautiful atmosphere for everyone to enjoy on one of the biggest days of your life. Samantha is the owner, designer and creative director at Gardenias Floral Weddings. Her idea for the company sprouted when she visited Hawaii and become enchanted by the lushness of the flowers in the tropical paradise. This shop is a part of her and her husband’s love story and can be part of yours too when you hire their work to complement the décor and the significance of your big day. 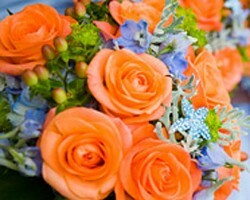 You can come with your own style and ideas or ask the experts for their advice to make your wedding flowers perfect. 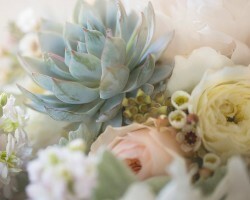 Affordable floral design is possible when you work with the experts at Blue Jasmine. This is a floral design boutique that offers more than just set arrangements to choose from. 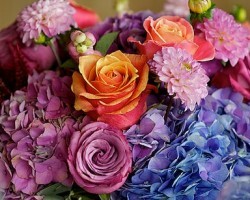 This company offers rustic and modern flowers that are designed with your specific style and occasion in mind. This team will use interesting and unique outside pieces in their work to make it even more special and customized. Any of the services that you choose to hire from this company will always result in having the most beautiful atmosphere. 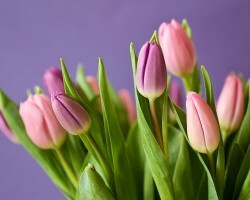 John the Florist has been offering flowers delivery in Newark and New York City for over 100 years. The current management has been in position for the last 40 years and has made this floral service the success that it is today. Whether you would like to order birthday flowers or need unique arrangements designed for a special event, this team has the talent and the experience to accommodate completely. You can be sure that the results of working with this team will be amazing when they take the time to really learn about your style. Finding florists in Newark, NJ that will completely customize every aspect of their work for a wedding is something that you will only find at select flower shops like Bloomers Designs. Since 1998, the owner of this company and her team has been offering everyday arrangements as well as complete event styling too. Working closely with this New Jersey team, you will be able to decorate your wedding in the most beautiful and personal way possible, something that reviews of the service rave about.